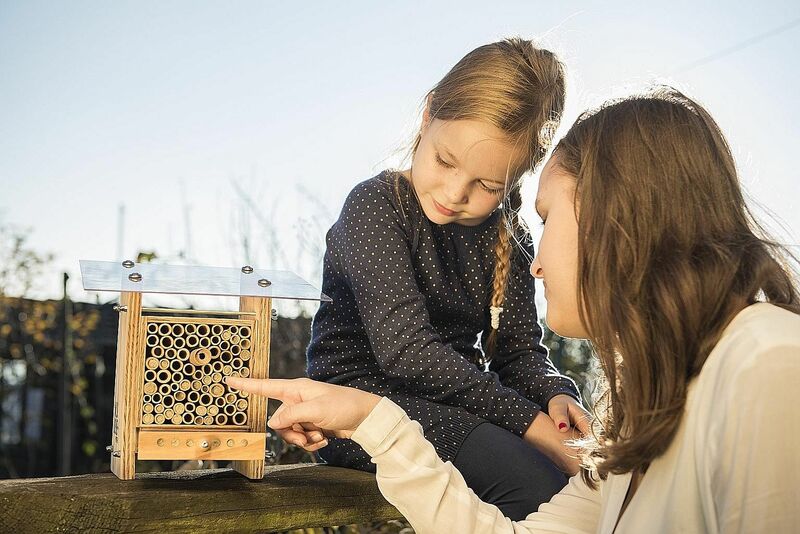 The shoe-sized bee homes, founded by Wildbiene + Partner, can be installed in the garden or on an apartment balcony to boost the bee population and help farmers pollinate their fruit trees and crops. SWITZERLAND • Having wild bees as pets might sound a little off the wall, but such is the case for Mr Tom Strobi and Mr Claudio Sedivy. The biologists from Zurich are working to boost the populations of these endangered pollinators. In 2011, a United Nations report on the declining worldwide bee population set alarm bells ringing. The phenomenon is due to a reduction in flowering plants, and the presence of pesticides and air pollution. The stakes are high - without bees acting as pollinators, one-third of our food supply could disappear. Of the 100 plant species accounting for 90 per cent of the world's food, more than 70 per cent rely on bees for pollination. Could we work towards a reversal of the trend? The Zurich-based start-up Wildbiene + Partner, set up in 2013 by Mr Strobi and Mr Sedivy, gives each of us the opportunity to do so. By setting up a mason bee nest on a balcony or in a garden, anyone can become a breeder. Unlike honey bees, mason bees have no queen and do not sting. They do, however, make efficient pollinators: One mason bee can pollinate as many plants as 300 honey bees. Each bee home can lead to the birth of more than 100 bees per year. The start-up currently has some 30,000 clients and 300 farmers in Switzerland. All one needs to become a breeder is order the equipment from the start-up's website, then wait for delivery of a bee home and a population of 25 bee cocoons. For a small fee, home owners can send the inside structure of their bee nest back every autumn when the nesting tubes each hold six to 12 cocoons. The eggs, collected by the biologists, are then used to make new stocks and replenish the bee homes.